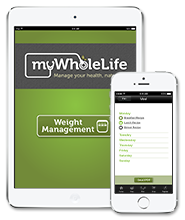 Vancouver-based WholeLife Holistic Nutrition Inc. is the operating company for online nutrition business myWholeLife.ca. Empowering consumers by providing fingertip access to integrative nutritionists, dietitians, and the latest health research through digital and mobile health technologies. 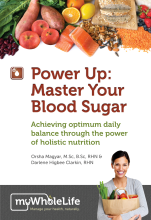 We simplify the balancing act of incorporating nutrition into your life, and bridging the gap between between holistic nutrition and western medicine. 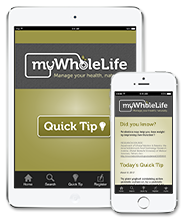 WholeLife Holistic Nutrition launched the myWholeLife.ca website in May 2012, and has since launched a series of mobile apps–Quick Tips, Blood Sugar, and Weight Management. 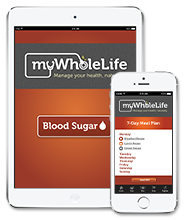 The Blood Sugar app achieved the “2014 Top 10 Doctor Recommended” app award by HealthTap. “We followed with the introduction of myHealth Check: Free Personalized Health Report, before unveiling our subscription-based, comprehensive DIY health assessment – coming in 2016. Virtually manage your health, naturally.